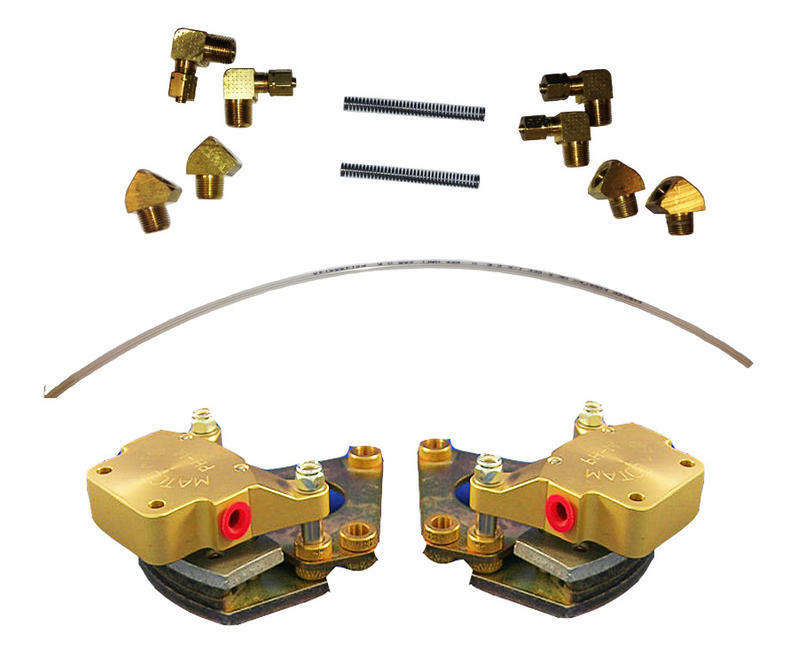 This conversion kit provide two new WHLB5 brake assemblies, two WHLBPD1.38 brake plates, tubing and fittings to convert two wheels and brakes to a dual caliper configuration. This kit allows the user to mount two calipers per brake. Generally one new and one old caliper are used per side. The WHLBPD1.38 brake plate has the axle hole in place but axle mounting bolts are undrilled to allow the user to select the best mounting angle for the calipers. The final configuration is indentical to the WHLB5-D brake except the brake spacers are for the D5 disc instead of the D5D.